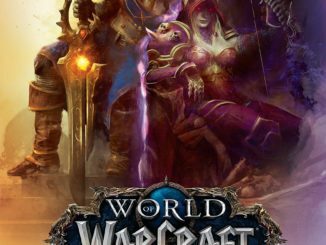 This excerpt-review of the upcoming World of Warcraft: Wolfheart novel by Richard A. Knaak is of the mild-spoiler variety. For the people that don’t know Richard, he has written several novels set in the world of Warcraft before, which include The Sunwell Trilogy and the War of the Ancients. Before I get into it I will warn for some spoilers. If you want to read the excerpts before reading the review head here. I will be giving my thoughts about the two excerpts Blizzard has posted. After reading the first excerpt, I was impressed with the writing that Knaak did. In the words he used you could see that the orcs would do everything for their new Warchief, Garrosh. This becomes more apparent when Briln the elderly orc captain tells the reader that the orcs would have readily given their lives for their legendary overlord of the Warsong Offensive. I haven’t actually read any of Knaak’s novels yet, but these excerpts certainly caught my eye and I am looking forward to digesting his older works. This excerpt kept me hooked. I really wanted to find out what the cargo is that the orcs carry and what its purpose is. I had the idea that they captured some worgen seeing the name of the novel, but after a second thought I am not so sure anymore. I am not so sure anymore because Briln tells that they will be using this cargo against the Alliance, and the worgen maybe an aggressive race but they wouldn’t attack their own allies. I am wondering as well what Garrosh means with his whole idea that the Cataclysm is the first sign of their “day” coming.